The pinnacle in the world of rugby is the prestigious Six Nations. Once again, it is back taking centre stage to impress and delight rugby fans across Europe. The best teams from the northern hemisphere will lock horns to see who will lift the trophy, and there is no better way to experience this than with the finest six nations hospitality packages from Hospitality Finder. Combining the greatest international rugby matches with VIP entertainment, you won’t be quick to forget our spectacular hospitality events. There is a superb line-up of thrilling fixtures for the Six Nations this year, with a highly anticipated match between England and Wales at Twickenham. Wales will also continue their Six Nations campaign when they come up against Scotland in a home match at Principality Stadium. The best teams in Europe will go head-to-head in a fiercely competitive tournament to determine who will be crowned Six Nations champion. They will be playing at magnificent stadiums where you will find a superb range of first-class rugby hospitality facilities. Six Nations hospitality allows guests to indulge in the best of corporate entertainment across the tournament. Your Six Nations hospitality experience will provide you with a fantastic service, gourmet dining, a drinks reception, and of course the best in international rugby. Make it an unforgettable experience with our Six Nations Hospitality packages, allowing you to entertain your guests in style. Hospitality Finder proudly offers a range of Six Nations VIP Packages at each of these spectacular venues, so find your ideal package here and book your place at one of the most sought-after corporate hospitality events on the sporting calendar. From the best seats in the house, you’ll view every tackle, try and kick at the ultimate rugby venues across the world. Wherever you decide to take your distinguished guests, you’ll be guaranteed to love our exceptional hosting services that help you make the most from your time at the rugby. International travel can be taxing for an organiser, particularly for larger groups like potential clients, employees or a multitude of family members and friends. Here at Hospitality Finder, we like to make your trip as seamless as possible. We assist you in arranging your trip, giving you helpful reminders and advice that ensure what is meant to be an exciting and stress-free experience remains this way. Hospitality guests will experience the day in luxury with access to their own premium, assigned seating. A panoramic view of the stadium of choice will leave our guests speechless, so ensure you enquire today in this highly sought after event. Each package at every venue is different, so you’ll need to select which one you’ll prefer. There’s a range of options available to you. As one of the oldest sporting competitions in the world, the Six Nations is enriched in history and heritage. Since 1883, the most sought after matches have been hosted in renowned stadiums across the globe. There’s plenty of competition as all teams battle it out to be this year’s champion. With millions viewing the game from across the globe, you’ll be seated in the height of the action that all viewers will envy during our Six Nations hospitality event. For guests purchasing the finals tickets, you’ll be able to witness the coveted trophy being lifted - the roaring atmosphere is unlike anything you’ve ever experienced. Whether you’re revelling in the height of the Wales-England rivalry, celebrating another win for your favourite team, or simply enjoying our lavish dining experiences with little knowledge of the sport, there’s something for everyone to enjoy at these unforgettable rugby events. Recognised as the epitome of quality, The Green Room provides an immersive experience that cannot be found anywhere else. It guarantees not only an exceptional mix of quality food and drink, but the opportunity to surround yourself with some of the most famous and influential names in sport. Some of the biggest names in rugby will take the stage to sit on our guest panel and answer the anticipated questions about the game. The exuberant hospitality, star-studded guest list and excitement of the game itself will provide an experience that’ll leave you wanting more. Once you visit The Green Room, you’ll never want to experience the game any other way! 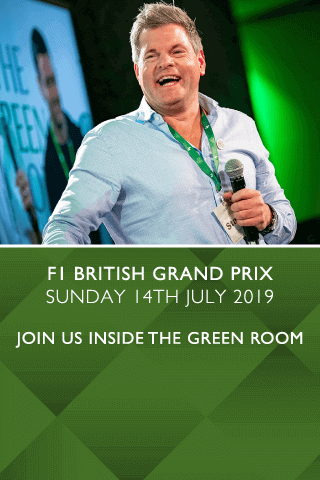 Exclusively hosted by Mark Durden-Smith, Lawrence Dallaglio and Mike Tindall, you’ll get expert insights and analysis of each game throughout the day. Filled with banter and expert opinions on the game, you’ll be on the edge of your seat throughout the game’s entirety. Hospitality Finder is delighted to offer an exclusive range of options for Six Nations hospitality tickets this year. Our hosts endeavour to provide the best corporate hospitality experiences that money can buy, giving a friendly, laid-back and fun match day they’ll remember for years to come. Whether you’re looking to cater for two guests or ten, each VIP guest is important to us. We strive to create high quality, world-class experiences suitable for the most important guests, so schmoozing clients will be easy with our corporate packages. If you’re looking to enjoy some rugby action with close friends and family, our packages are perfect for allowing you to enjoy the day with guests. We’re happy to do all the heavy-lifting, including organising and managing the event, as well as ensuring you have all the information you need to make the most of your day. Hospitality Finder have been rated 5 stars by our customers on Trustpilot, so we know our stuff when it comes to creating enviable hospitality. We like to make you feel at home with added grandeur, so that you have an experience to remember. If you’re interested in allowing us to host you for your dream rugby experience, contact us to find out how we can meet your needs. Is the Six Nations hospitality not for you? Leading the way in the UK’s best hospitality packages, Hospitality Finder are proud to provide packages for the world’s greatest sporting events. Whether you’re searching for football hospitality, prestigious Wimbledon hospitality or your favourite artist in concert, we’re here to provide you with the ultimate experience. Looking for particular rugby venues? View our Twickenham hospitality or Aviva Stadium Hospitality or Principality Stadium Hospitality pages. Whatever your taste or budget, there’s a package for everyone. Browse our corporate events today to find the perfect event to your liking.